Savigny-lès-Beaune is a small town and wine appellation in Burgundy’s Côte d’Or. It produces excellent quality wine that is little-known and seriously underappreciated. Since the best examples of the appellation’s Pinot Noir can rival the very best in the Côte de Beaune, Savigny-lès-Beaune is truly a connoisseur’s wine, a classy red Burgundy for the cognoscenti. Situated just north of the city of Beaune, and south of the Hill of Corton, Savigny-lès-Beaune (referred to in Burgundy simply as “Savigny”) lies in a valley formed by two hills. Flanking the valley from the south, toward Beaune, is Mont Battois; on the opposite, northern side of the valley, toward Pernand, lies the Bois Noël. The tiny Rhoin river meanders modestly along the floor of the valley, separating the northeast-facing hillside from the south-facing hillside, but not doing much of anything else. Perhaps the Rhoin was a mightier waterway two thousand years ago when Romanized Gauls built a settlement alongside the road ordered by Augustus Caesar to connect the Roman bastion at Langres (originally Andematunnum) with the new imperial city of Autun (originally Augustodunum), ‘sister city and replica of Rome.’ The settlement was named Saviniacus in honor of a putatively praiseworthy Roman soldier. 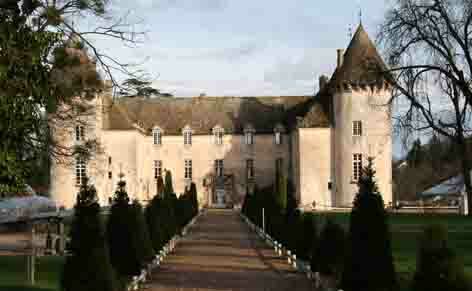 In time, Saviniacus became Gallicized into Savigny. Since “lès” (deriving from the Latin latus, meaning side) in the Burgundian dialect denotes “near or close to”, Savigny-lès-Beaune means Savigny-adjacent-to-Beaune, presumably to distinguish it from other Savignys in France (there are several). There are nearly 383 hectares of vines in Savigny, of which 144 hectares comprise 22 Premier Cru vineyards. There are no Grands Crus. 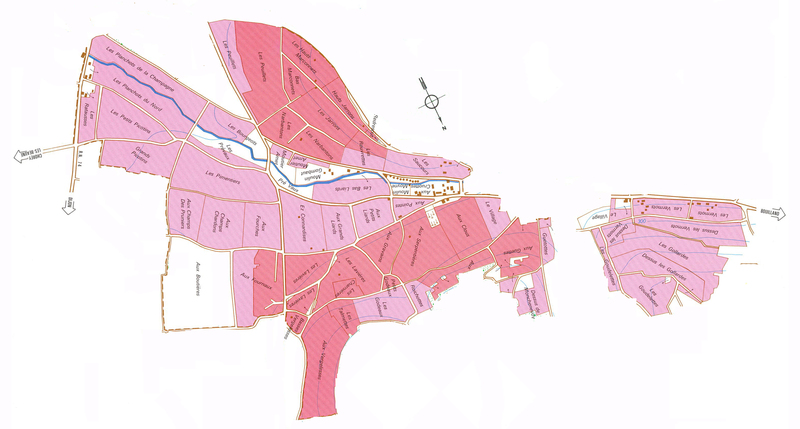 The appellation permits both red Burgundy, from Pinot Noir, and white Burgundy, mostly from Chardonnay, but also from Pinot Blanc and Pinot Beurot (Pinot Gris). Almost 96 % of the wine produced, and virtually all of the Premier Cru, is derived from Pinot Noir. The appellation produces an average of 5250 cases annually. The two hillsides of Savigny are different in their geology and climate, and thus produce somewhat different wines. The preponderance of vineyards, both Village-level and Premier Cru, are found north of the river, on the generally south-facing hillside descending from the Bois Noël. The soils in this sector are generally a mixture of sand, alluvium, marl, limestone schiste, and iron-rich red clay Among the Premier Cru vineyards in this section are Aux Guettes, Aux Gravains, Les Lavières, and Aux Serpentières. The hillside below Mont Battois contains many fewer vineyards, but most are of high Premier Cru quality. With mostly northeasterly exposition, the slope is even more sandy, with some brown limestone, less pebbly but contains a mixture of limestone scree, especially toward the river. 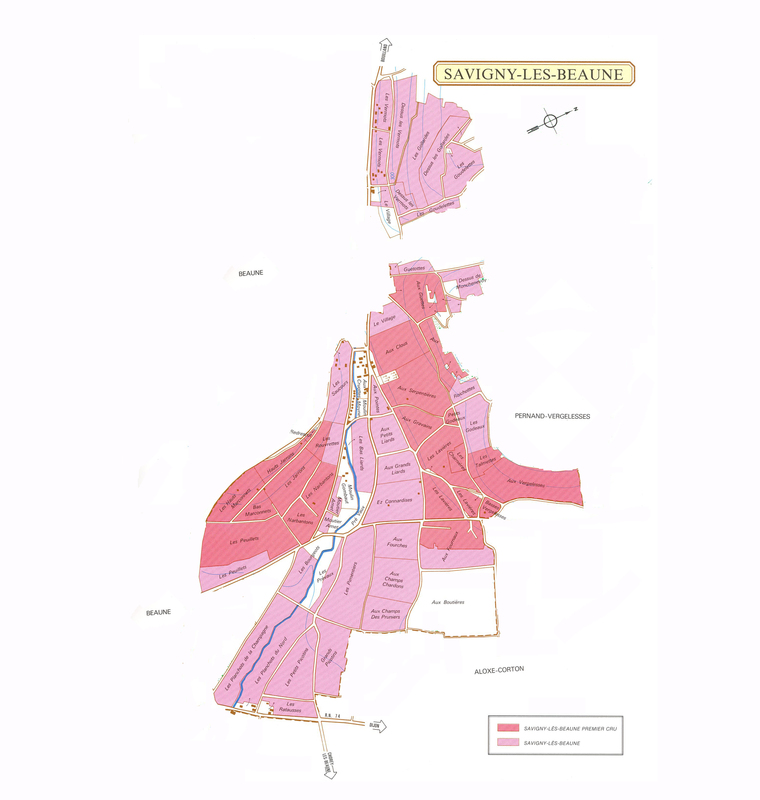 Among the best-known vineyards in this section are Les Peuillets, Les Narbantons and Les Jarrons, which includes one of the best-known lieux-dits of the appellation, La Dominode. Among the most respected producers of are Chandon de Brailles, Simon Bize and Jean-Marc et Hugues Pavelot.